Based on client feedback we recently launched the My.ComMetrics 2011 trend briefing series – 25 blog posts and 7 webinars about social media DOs and DON’Ts, marketing and measurement. Previous posts addressed, 2011 trends: Mobile communication and ROI, 2011 trends: Social networking and ROI and who owns your social network when you change jobs. We just held the first of the webinars, with the next on Tuesday 2010-11-30 – 2011 trendwatch webinar: Social media marketing and ROI (please register now, it is free). 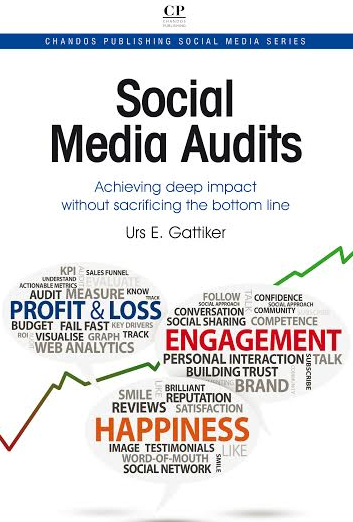 Our fifth post focuses on social media marketing and return on investment (ROI). How good were my predictions for 2010? 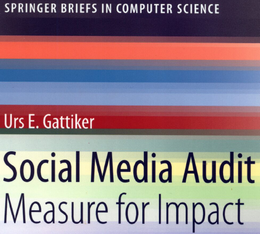 a) Putting greater focus on data bias in social media – people increasingly point out the difficulty of using easily obtained measures, such as pageviews, bounce rates and so forth. b) Defining your audience and learning to join conversations are key – most experts agree it is becoming increasingly more critical to produce content that has real value and relevance for your target adience. So what am I suggesting for 2011? A. 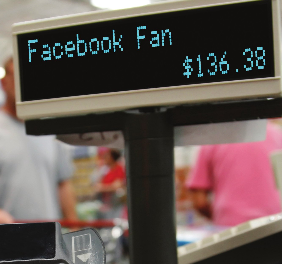 What is a Facebook fan worth? There is no question that social media marketing is becoming a significant driver of consumer product discovery. But how much it drives discovery when it comes to business-to-business (B2B) or capital goods is still largely unknown. People are inundated with information on their Facebook wall or Twitter feed (see our 900-98-1.5-0.5 rule). Clicking ‘Like’ on a brand’s page is one thing, but regularly returning to that page or reading its content is another matter. 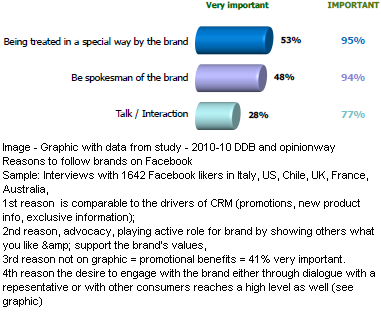 Trend 1: Discussions about the hypothetical value of a Facebook fan or a Twitter follower will continue in 2011, but the wise will leave this discussion behind, instead focusing on better customer relationship management, engagement of target groups and so forth. Tip 1: The theoretical value of your Facebook fans is a useless navel-gazing exercise. Bottom line: answer your fans’ questions, help your clients and keep your customers coming back for more. If Facebook helps, clients love your tweets and the Xing group brings business, more power to you. Otherwise, re-align your scarce resources. B. My clients do not participate in social media polls – do yours? 18- to 34-year-old respondents of the survey are embracing certain social media activities. But how much trust can you put into such polls or surveys? Most industrial purchase folks or busy professionals do not respond to pollsters or emailed surveys. In fact, when was the last time you said yes and participated in a telephone survey? Trend 2: Survey results are taken with a grain of salt; they can help highlight trends and movements in a changing market. To manage risks smartly, more people look at many surveys at a time, but beware of the snapshot survey, which usually obscures more than it captures or clarifies reality in the social media realm. Tip 2: Check with ten of your clients and ask them when they were last asked to participate in a survey; did they? The results might surprise you. Return on investment (ROI) is a measure of a company’s profitability, equal to a fiscal year’s income divided by equity and long-term debt. ROI also measures how effectively the organization is using its resources to generate a financial profit. Hence, social media marketing may be a moderator of some of the factors that influence ROI such as customer feedback or complaints, product satisfaction and so forth, but it is not a primary cause of ROI. There will always be people who would want to participate in a sweepstakes like the one offered by PayPal (see image below) to get a chance to win 1 of 10 iPads. This is regardless of how small the probability might be to win. Trend 3: Social media experts will continue to use ROI to push their fare and confuse budget committees wherever they do. By contrast, return on engagement (ROE, or return on involvement – ROIn) will become increasingly popular among social media strategy folks. Tip 3: Creating good content on your blog might help get it curated in people’s information stream, while comments and re-tweets increase your visibility. In fact, they may help sales efforts. Are you with me on these three social media marketing trends for 2011 or am I completely off? What have I missed? Please leave a comment; the floor is yours! Pingback: 3 Effective Facebook Marketing Tips | I've got a million dollar idea, now what?